I put the chart below together for someone I know who, despite having a strong grasp of English, often seems to get tripped up when talking about large numbers. It may seem like a trivial topic but this particular person works in a financial institution in a sales capacity…… I’m sure you can understand how a slip of the tongue in this kind of context might make someone lose confidence in their abilities. I figured I could put something together that they could put beside their desk and refer to in a pinch– maybe it will work for you? Feel free to print/cut it out. As it happens, this can be an issue for English speakers learning Chinese as well— the primary challenge being that English and Chinese (this is actually true of Japanese as well), put breaks at different points in large numbers. 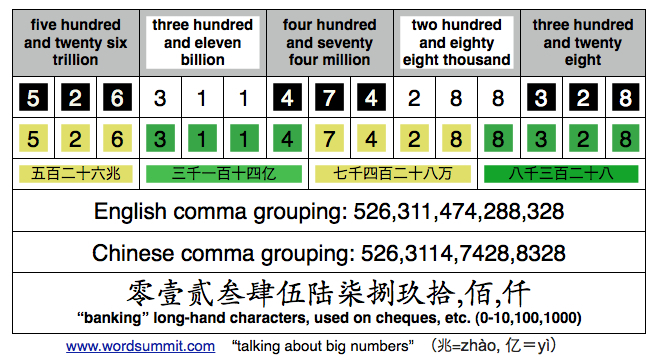 While English leaves things in clusters of three digits (thousands, millions, billions, trillions), Chinese groups the digits in clusters of four (i.e. units of 10,000: 万,亿,兆). Just got the results from last December’s Japanese Language Proficiency Test, and I was delighted to discover that I had squeaked out a pass on the new JLPT N1! I consider the JLPT ‘hard’ simply because the bulk of the test concentrates on my main weak points. (No chance to talk!). It’s surreal to have finally bested the legendary “Level 1”, especially since Japan seems quite ‘far away’ from my work and surroundings these days. I’ll most likely take it again this year, but it will be a relief to have ‘passing’ out of the way—- my current score follows a familiar pattern: high points for listening, but reading could benefit from some more attention. I’ll leave study strategizing for later—today is definitely a happy day! The bulk of my language ‘study’ these days is listening to podcasts and other audio materials during my commute to and from work. That’s pretty much been my pattern for the last couple of years– it works for me, but I’ve had a nagging feeling that I could/should be doing more work on reading and writing. On my last HSK test, my suspicions were concerned— my listening section score was much much higher than the writing score. Thinking about what I could do that wouldn’t take up tons of time (having a three year-old in the house means different priorities! ), I hatched an idea. I remembered that, awhile back, my mother had given us a couple of old digital photo frames– you know, the ones you can plug in and they will cycle through any images that you have on a USB key? They weren’t the latest and greatest crystal-clear version of the technology, “but they were on clearance, and maybe we could use them to entertain [her grandson]?” Because I’m still trying to keep him away from electrical cords, I didn’t really put the frames to use until a few weeks ago when the idea struck me to put one of them on my desk at work and make jpg flashcards of Chinese characters/phrases that I wanted to better remember. The concept is pretty simple— use a free graphics editor like Paintbrush to type up two versions of an image, one with just the Chinese characters and the other with any pinyin or English comments that I wanted to add. Naming them with sequential filenames ensures that they come up in order on the picture frame on my desk. It’s not like I stare at it for hours, but every once in a while, a word will catch my eye and I’ll get reminded again about the strokes that make up that particular character. When I’m reading something that contains an expression that seems worth remembering, I quickly open up paintbrush and make a white background flashcard. Dumping it into a folder, I’m free to update my USB key whenever the inspiration hits. When it comes to using flashcards, there are lots of folks talking about spaced repetition— sites like BYKI and Anki are good places to start if you want to give it a try. I like the concept, but my ‘passive’ picture-frame cards are much more my speed these days. This way I can keep some ‘word souvenirs’ from things I read and the review process weaves its way into my day. I sat both HSK tests last November, but didn’t see the results until yesterday—- what a great way to start off the year! I did extremely well on the spoken test, as well as the listening section of the HSK 5 (fifth level of the new six-level scheme); however, my reading and writing scores are definitely telling me that I need to do more practice in those areas. It’s worth noting that the written section of the test requires you to write chinese characters by hand— if you’re used to typing chinese, you may find it easy to compose text by inputing pinyin and ‘choosing’ the correct character, but it can be a bit of a challenge to recall the character when you’re stuck clutching your pencil. 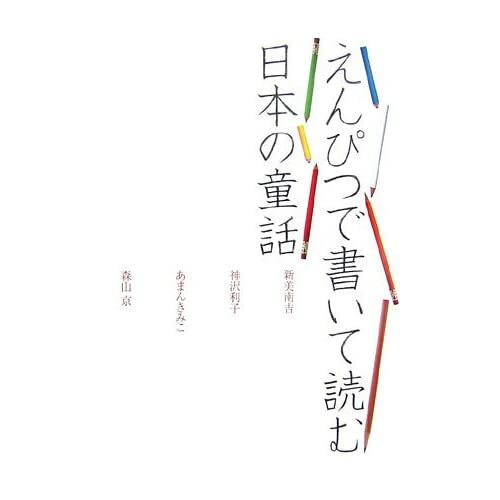 As I recall, there were a few different kinds of questions in the writing section— some involved putting sentence fragments in the correct order, and others involved being given three or four words (eg: 电脑， 游戏， 学校） and having to compose a sentence. If you’re looking for French podcasts to throw on your ipod, try a few of these. I have a number of different podcasts all organized into a smart playlist on my ipod– it all sort of flows together like a multilingual radio station…. Of special note is the United Nations podcast– if you need to follow up with something, often times you’ll find a transcript of their stories at the UN Radio site. **Guillon was fired by the station, so the audio archive is gone, but you can still watch lots of his videos here. Why not simply browse the podcast directory? Don’t forget that you can click on the “Change Country” link at the bottom of the podcast page in itunes—if you select France then why not try out some random ‘picks’ from categories that appeal to you? If sports is your thing in English, then you should definitely be looking to French sportscasters as an *ideal* learning resource. Just as I did with a French exam earlier this year, I am asking people to sponsor me in my attempt at the new upper-intermediate level of the HSK Chinese proficiency test. The money raised will be donated to the Tamaraneh Society, a development project that I support as a volunteer. 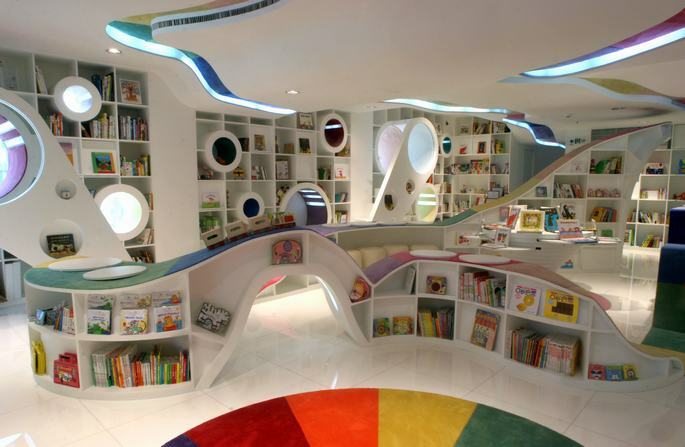 You will receive an ofﬁcial tax receipt for your donation through our partner,Change For Children. Your contribution will depend on how well I do on the test. To calculate your donation, what we will do is multiply my final HSK score (i.e. 75%) by your pledge amount (i.e. $20)— in this hypothetical example, I would end up collecting $15 from you in June when the results come out. If you’re game, just drop me a note to let me know how much you’re willing to pledge. 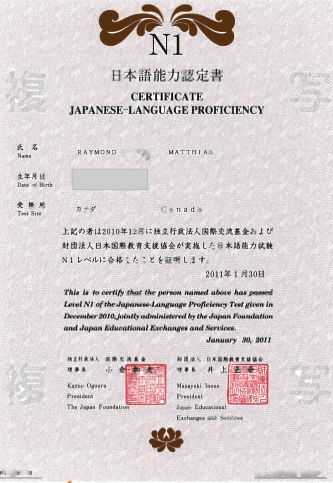 I have made it a personal goal for 2010 to improve my proficiency scores in the three languages in which I have the most experience (Chinese, Japanese, French). Additionally, the format of the HSK test has changed a little this year so I’m curious to see how I’ll do. for the fundraising part of the exercise, I’m happy to sit down and chat with you about the work that is being done in Sierra Leone through the Tamaraneh Society. ultimately, my biggest motivation for doing this is to remind as many people as possible that language learning is thriving in Edmonton–if you aspire to learn another language, all the resources you need can be found right here in your home community!